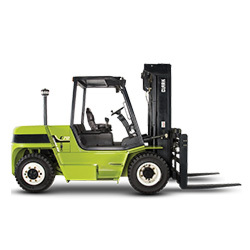 Do you need an Internal Combustion Pneumatic Forklift? 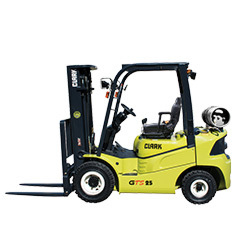 Mid Atlantic Industrial, located in York County, carries Internal Combustion Pneumatic forklifts. 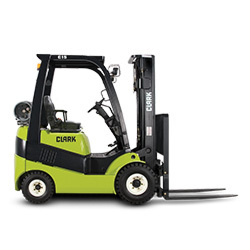 Call (888) 383-LIFT or click here today for more information CLARK Internal Combustion Forklifts! 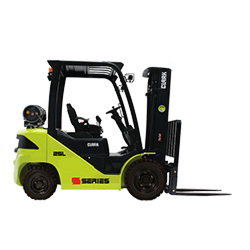 Great for manufacturing, warehousing and building materials handling. With IC-Pneumatic the evolution continues. 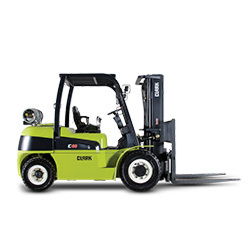 Available in LPG/DUAL FUEL/DIESEL 4000 / 5000 / 6000 / 7000 lbs. 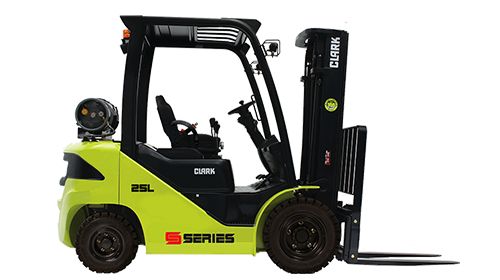 The CLARK GTS Series (GTS 20-33) impresses with solid construction and high quality components. 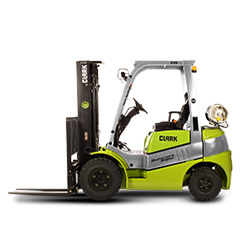 With wet disc brakes and a split transmission as a standard features, this series is extremely reliable and durable. The 4-cylinder, dual overhead cam engine produces 70 HP and 140 ft-lbs of torque @ 1600 rpm for superior performance. Internal, self-lubricating chain-driven cams and automatic chain tensioner provide long-life. The NEW GEN2 C40-series is designed to tackle any task placed in its path. The open-core, plate-fin radiator provides maximum cooling of the engine and transmission in the harshest environments. The 4-cylinder, dual overhead cam engine produces 52 HP and 114 ft-lbs of torque @ 1500 rpm for superior performance. Internal, self-lubricating chain-driven cams and automatic chain tensioner provide long-life.